I used to love Nutella when I was kid–that is before studying nutrition and discovering its harmful ingredients. The scariest thing that people don’t know about Nutella is that it contains monosodium glutamate (MSG), also known as E621. 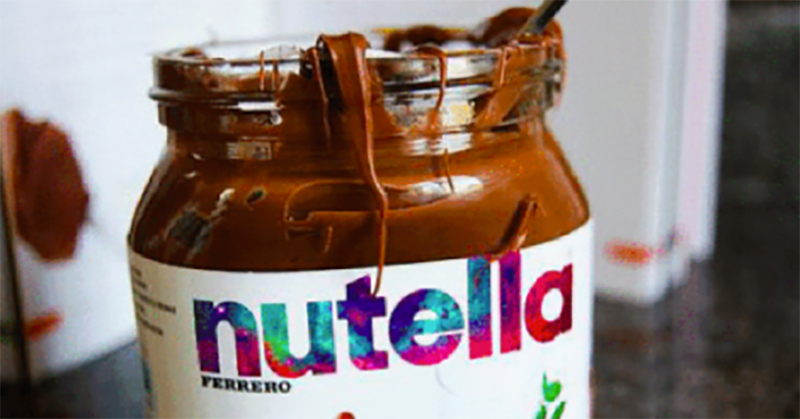 It’s cleverly hidden inside an artificial flavor called vanillin which is labeled on every Nutella jar. It also contains the toxic GMO emulsifier soy lecithin and palm oil whose extraction is ravaging forests and wildlife throughout the world. Nutella was introduced in 1964 by the Italian company Ferrero who still manufactures the product, however they do have local manufacturers in many countries. As kids we went crazy over nutella in the 70s and 80s, but parents back then weren’t taking as many precautions as they are today, especially when it comes to reading ingredient labels. Nutella claims their product contains “No Artificial Colors and No Artificial Preservatives”. The definition of artificial is “made or produced by human beings rather than occurring naturally.” Every single one of their ingredients goes through very heavy processing which would imply that the natural state of these ingredients which contribute to color and preservation is completely absent from their formula. Their soy lecithin alone is about as artificial as an emulsifier/preservative gets. Nutella contains 67% saturated fat and processed sugar by weight. A two-tablespoon (37 gram) serving of Nutella contains 200 calories, 11 grams of fat, 3.5 of which are saturated and 21 grams of sugar. To put that into perspective, a typical chocolate and nut candy bar has 250 to 300 calories and 12 to 16 grams of fat. When most people see vanillin, they think…oh it has vanilla. However, this is likely one of the most harmful ingredients in Nutella. Scent and flavor of vanillin are nothing but chemicals. When we talk about actual real-life non-imitation vanilla flavor, what we’re really talking about is a bunch of molecules that are extracted from a vanilla bean. The grandest chemical of all of these is vanillin. Sure, vanilla has plenty of other odor molecules, but vanillin is about 95% of the scent. And, thanks to technology, you can make it cheaply from petroleum and in a lab. The largest vanillin manufacturers in the world are in China and more than 90% of food products manufactured contain vanillin from China including Nutella. The worst part of vanillin is that it contains unlabeled MSG. It is not a nutrient, vitamin, or mineral and has no health benefits. The part of MSG that negatively affects the human body is the “glutamate”, not the sodium. The breakdown of MSG typically consists of 78% glutamate, 12% sodium, and about 10% water. Any glutamate added to a processed food is not and can not be considered naturally occurring. Natural glutamate in plants and animals is known as L-glutamic acid. MSG Lurks As A Slow Poison In Common Food Items Without Your Knowledge and vanillin is one of them. Did you know that by law (The Bombay Prohibition Act, 1949), the possession, consumption, and transportation of liquor is illegal in the Indian state of Maharashtra without an alcohol permit? The legal age for alcohol consumption is 25, and all residents of the state must obtain an alcohol permit to consume, transport, or possess up to 12 units of alcohol or face a fine of up to INR 50,000 and/or a jail sentence of up to five years. To avoid such an event from ever occurring, here is how to make your permit in Mumbai, the state capital. 1. Purchase a Rs 10 court stamp fee. You can get it from any court or at the Asiatic Town Hall near the collector’s office. 2 Go to the permit issuing office. In Mumbai, you need to go to the Old Customs House (Collectors Office) at Fort area in South Mumbai. Also regional excise offices in Malvani (Malad West), Andheri, Bandra and Chembur have this facility available. Malwani No.1, Next to Fire Brigade, Marve Road, Malad West Google Maps. The counter is near the Marriage registration office in the building on the ground floor. · For other districts, you can get it made from an Excise officer of the rank of sub-inspector and higher. 3 Get the application form. The application form is available for free. You can also purchase the court stamp fee at the nearby Asiatic Town Hall revenue office. 4 Fill the application form with your name, date of birth, age, occupation, and address. 5 Glue the court fee stamp on the application form. 6 Get your permit. Hand the clerk the application form, your photographs, Photo id and Address proof like Passport and Driving licence and the necessary fees depending on the licence type. · The photographs should have a white background, show the facial features clearly, no spectacles to be worn, ears clearly visible, no teeth show, head positioned straight (not tilted). · The permit issuing window is open from 11 am to 3:30 pm. (lunch time is 1:15 to 2:00 pm). · If you have made a lifetime permit, it is recommended that the permit be laminated. · The permit only allows the possession, consumption, or transportation of up to twelve units of alcohol. · Possession, consumption, or transportation of alcohol in Maharashtra without a permit can get you fined to Rs 50,000 and/or a prison sentence of up to five years. Government-issued proof of identity and age. (eg Passport). You must be above 25 years (30 for applicants in the district of Wardha). 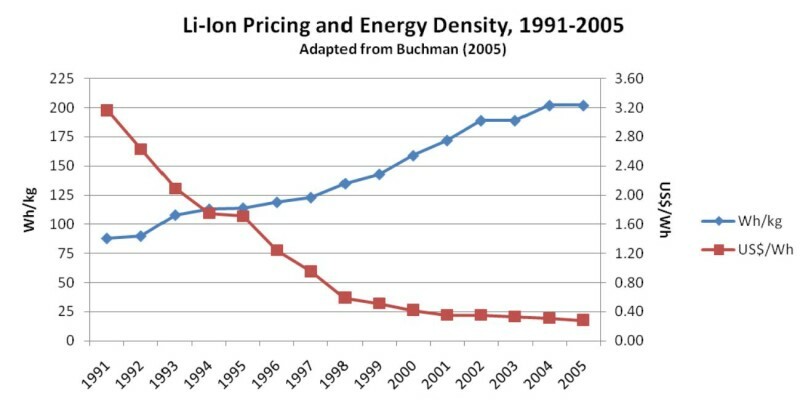 Solar Energy / Wind Energy / Energy Storage – How Cheap? 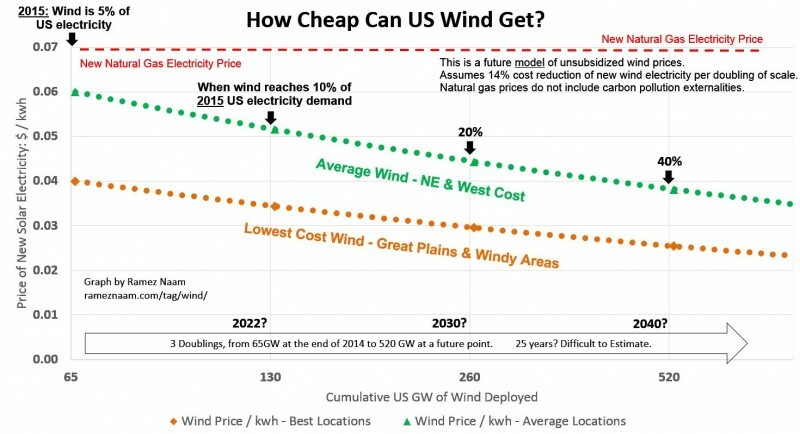 NREL recently released data showing that next-generation wind turbines could reach an incredible capacity factor of 60% over 2 million square kilometers of the US, or enough to provide roughly 10x as much electricity as the US uses. If true, this would be a game-changer in wind power, as I explain below. Bill Gates recently told The Atlantic that “we need an energy miracle”. The same article quotes him as saying that storage costs roughly an order of magnitude too much. How quickly will the cost of storage drop? I attempt to answer that question here. tl;dr: Predictions of the future are fraught with peril. That said, if the current trajectory of energy storage prices holds, within a decade or two mass energy storage of a significant fraction of civilization’s needs will be economically viable. 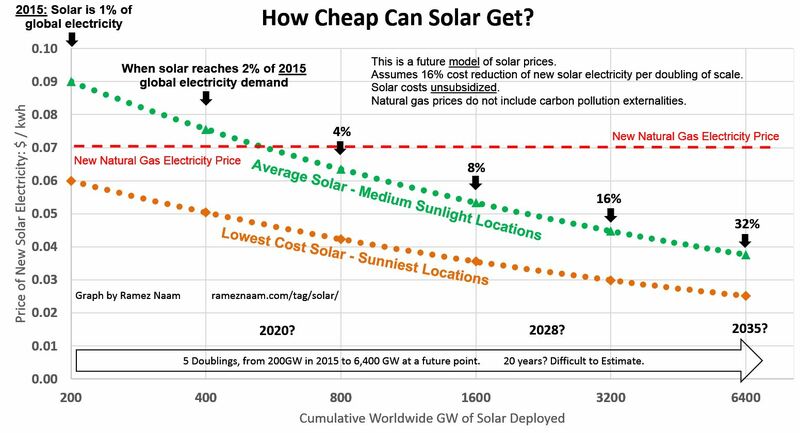 Posted on December 18, 2015 Categories Green Technology1 Comment on Solar Energy / Wind Energy / Energy Storage – How Cheap? The people of Parswani were promised jobs, healthcare and water. Now, after signing an MOU, they just about get polluted water for irrigation purposes. 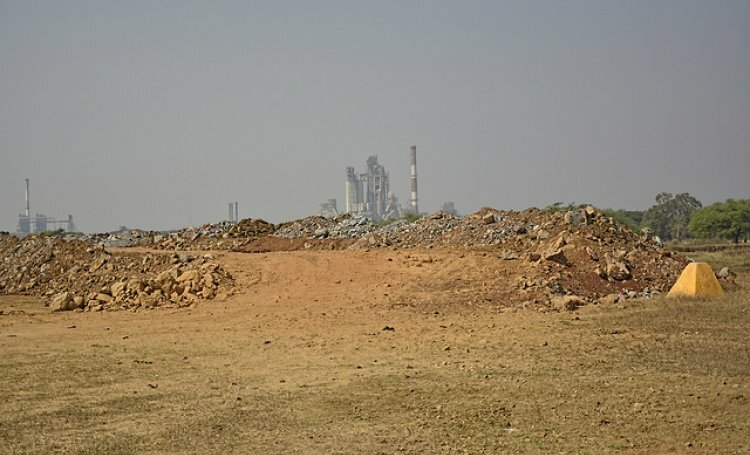 Paraswani village in Balodabazar district, Chhattisgarh contains vast reserves of limestone, a sedimentary rock that is a primary ingredient in the cement manufacturing process. Since 1992, Ultratech Cement Ltd. (UTCL) followed by four other similar companies, have begun excavating this rock within a 30 km radius of the village. UTCL operates an 8200 TPD (Tonnes Per Day) plant, which is supported by captive limestone mines, and is spread over about 997.355 hectares. Mining depth is currently at 37 metres below ground level, and UTCL will continue to operate the mine until its lifetime when about 231.48 million tonnes of mineable reserves are used up. “Before the commissioning of the UTCL plant, the people of our village were given a 100% job guarantee and promised other basic facilities such as water, health, education, etc., but the company has recruited only 16 people as employees and 50-60 as contractual labourers. Every year, we face domestic water crises and now we are also facing water crises to sustain our farms”, says Dhelsingh Verma, a senior representative of Paraswani. Earlier, water from the Paraswani Dam met irrigation needs but as the mines expanded, Paraswani’s resources have reduced. As the demand for water to irrigate their fields went up, the villagers were left with only one option which was to procure the waste water generated by UTCL as the company had refused to provide fresh water for this purpose. Now, the villagers have signed an MOU with the company to procure polluted water for irrigation. The copy of the MOU provided to India Water Portal clearly states that the water supplied by the company is not fit for drinking purposes and should be used only for irrigation. The company also does not take any responsibility regarding the quality and quantity of the water supplied to the villagers. The people of Parswani are also having to deal with other fallouts from this agreement such as lack of infrastructure and healthcare. The photos below show how the villagers are coping with the poor hand they’ve been dealt with. JOIN THE ‘SAVE OUR SPACES’ CAMPAIGN | MAKE A CALL TO OVER 5 MUNICIPAL COUNCILLORS TODAY AND REPORT IT HERE! The BMC intends to have a policy to give legal rights and possession to private parties on our Open spaces which are owned by us. At a conservative value of Rs. 20,000 per acre it means giving away our land worth over 20,000 crores. In our country possession is de facto ownership. There are many instances in the past where these methods have led to private bodies usurping our Open Spaces on the pretext that they will adopt or take care of our grounds. We can stop this corruption. Call up more than 5 corporators and argue with them that they should oppose this loot. Get their responses and report them with your name on this website. This is your chance to help promote transparency and accountability and make your voice heard! – I’d like to know whether you support the move to allow corporations, NGOs and other groups to adopt open spaces. – What are your reasons for this? -The total amount required to maintain these open spaces is less than 200 crores annually. The BMC’s annual budget is 400 crores and less than 200 crores are spent. -If BMC wants citizen participation ALMs, NGOs and corporates can be given the role of monitoring and auditing the grounds. Their report should be submitted each month and deficiencies corrected and penalties imposed on the defaulting contractors. – Our elected representatives have no right to create third party rights to private bodies. 1000+ acres worth around 20,000 crores are at stake. Do participate in this campaign and report before December 30, 2015. If the councillors go against our interests in this matter we will take this citizen campaign in the next BMC election and campaign to defeat those who give our Open Spaces away for free. For any questions, please mail me at shaileshgan@gmail.com. CA Shri Ramesh Prabhu, Chairman MSWA has launched MSWA news channel on You Tube. MSWA has uploaded more than 400 videos related to various issues and subjects of Cooperative Housing Societies. You are requested to watch these videos and give your opinion and suggestions on it. to Housing Society matter, we will upload the same for the benefit of Society at large. We are providing video link for the same herewith. Banks often make unauthorized debits from a customer’s account, taking advantage of having our money at their disposal. A bank cannot take the law into its own hands to recover its dues. Here is a case where the a bank was taken to task by an aggrieved consumer.Case Study: Srinivasa Rajan had a credit card issued by Tata Finance Ltd. In mid-November 2002, the company asked Rajan to pay Rs 74,516.45 towards various charges and fees for its retention and use.After 10 days, Rajan was informed that his card had been suspended. Over three years passed without any action being taken by either Rajan to challenge the demand, or by Tata Finance to recover the amount. account, in April 2006, the bank unilaterally blocked the account for an amount exceeding Rs 80,000. It also issued a legal notice, asking Rajan to pay Rs 1,58,093.95 as the outstanding dues on the credit card. It then debited this amount from his account and usurped it without even bothering to inform him. He only learnt of it when a cheque he issued was dishonoured for lack of funds. Aggrieved, he complained to the district forum for a direction to the bank to unblock his account and to pay compensation and costs.